Uber drivers around the globe unhappy with some of the company’s practices are planning protests in cities including San Francisco and London – but in New York drivers plan to go on strike. The multi-city protest which has been organized by a newly formed nonprofit group called the California App-Based Drivers Association will take place outside of the company’s offices. 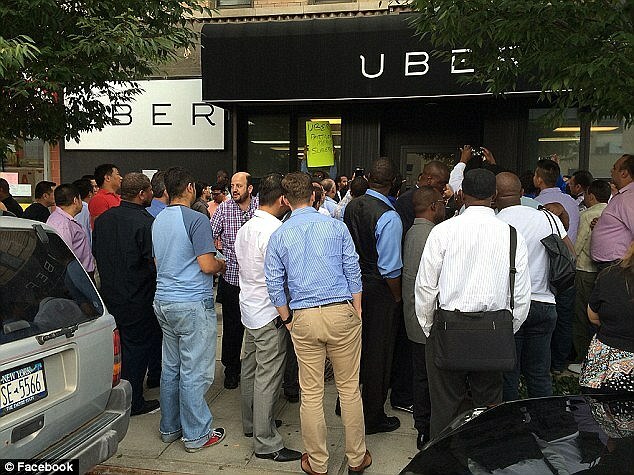 Last month, Uber drivers in New York protested over what they claimed are unfair working conditions and poor fares. Uber drivers aren’t employed by the company, but instead work on a freelance basis and are summoned by users as needed. 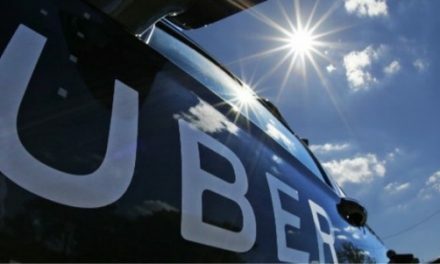 ‘We’re hoping we can coordinate a mass demonstration, potentially around the globe on so that we can get the message across that these policies are not just affecting drivers in Los Angeles, but anywhere Uber operates,’ Joseph De Wolf Sandoval, an Uber driver and the president of CADA, told Business Insider. In New York drivers are planning to shut off their phones – effectively disallowing potential Uber customers from hailing them. The drivers are unhappy with a number of issues that they hope to draw attention to by staging the strike, namely Uber’s reduced fares, the company’s tipping policy, the five-star rating system, and driver safety. ‘It’s not just a small group of disgruntled or unprofessional drivers, as Uber would like to cast us,’ De Wolf Sandoval said. The trouble began in July when Uber reduced its UberX fares making Uber cheaper than getting around town in a taxi. It was supposed to be a promotion but in September Uber decided to keep the cheaper fares running indefinitely. 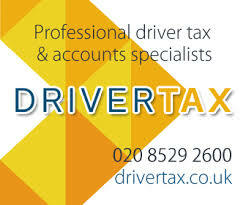 The company argued that drivers would end up making more because of increased demand as a result of the cheaper fares. Drivers say that the reality couldn’t be more different and claim that they are now losing money as a result of the change. Some have suggested that a 20% cut in fares mean drivers need to work 20% harder to make the same amount of pay. There is also unrest among drivers at the company’s tipping policy. Uber charges an all-inclusive price and drivers are told not to accept tips from customers. The Uber app does not even allow for customers to leave tips even if they wanted to. Uber’s fares are calculated based on distance and time along with any surcharges or tolls. Customers are also confused about the tipping system. Drivers says they would also like some openness when it comes to Uber’s rating system which allows both riders and drivers to rate one another. 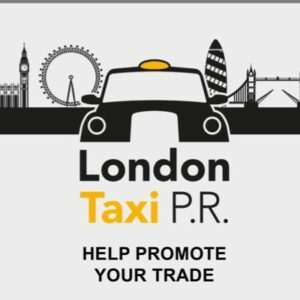 Drivers appreciate that customers can very easily write comments about their experience to give valuable feedback to drivers but the rating system is also dreaded by drivers because of how easy it is to fall below the ‘acceptable’ rating. 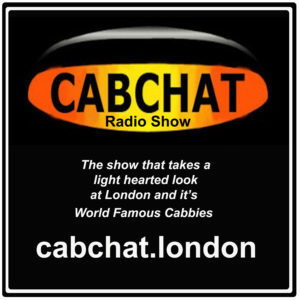 If drivers fall below 4.7 (out of 5) on the rating system it can affect the number of trips they pick up. Should they fall below a 4.4, they can be permanently deactivated. Ideas being put forward include a suggestion Uber create an cash incentive for drivers that provide excellent service handing out commission-based rewards if rides are of a certain standard. 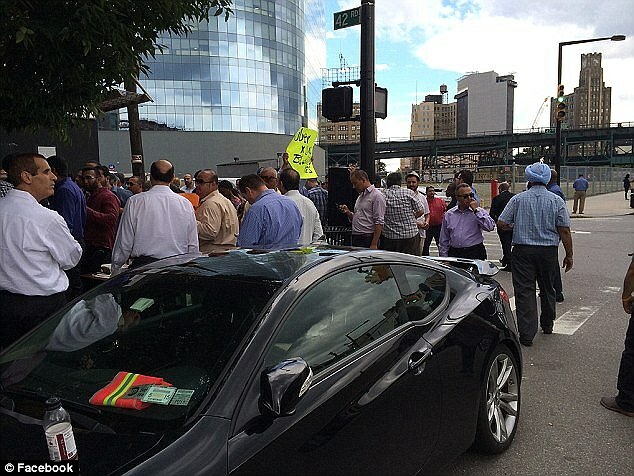 The grievances held by drivers is something of a grey area as they are not truly independent contractors nor employees of the company, but by holding the strike in New York and protests in other cities drivers are hoping that at the very least Uber will sit up and take notice as the company continues to expand its global reach. 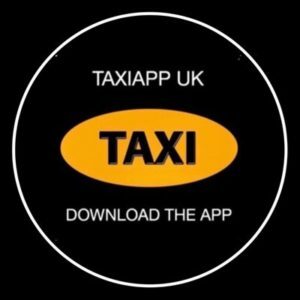 Uber Tells ECJ It’s Not A Taxi Service, But Is The Verdict A Done Deal…?